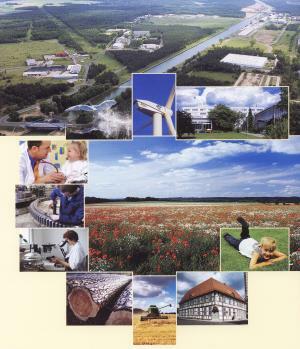 The Barnim has with WITO GmbH an organization at its disposal capable of developing all aspects of the economy and tourism. Included in the WITO operation and in addition to the development of business and tourism are the projects and real estate management for the InnoZent Technology centre. For the support of investors and relocation of businesses outside the field of InnoZent the WITO acts as agents for negotiations. The regional management, administration and local authorities are associates of the WITO and help funnel information. The WITO coordinates as a meeting point for businesses, offers advice regarding the applicable institutions and selects the suitable partners for the enterprise in question. The promising future of tourism demands astute perception for marketing at home and abroad from the WITO. The combining of forces with networks from other areas of the economy is a further central point of effort that confirms the importance of cooperation partners in our modern society. Of special interest is the competence of regional management in matters of the economy. The establishing of strategic groups and networks that support communication between active parties shows a real willingness for interregional cooperation. Functional teamwork with the administration is a must for the WITO and here the work with the Barnim is a shining example.